Ranch For Sale - REDUCED! 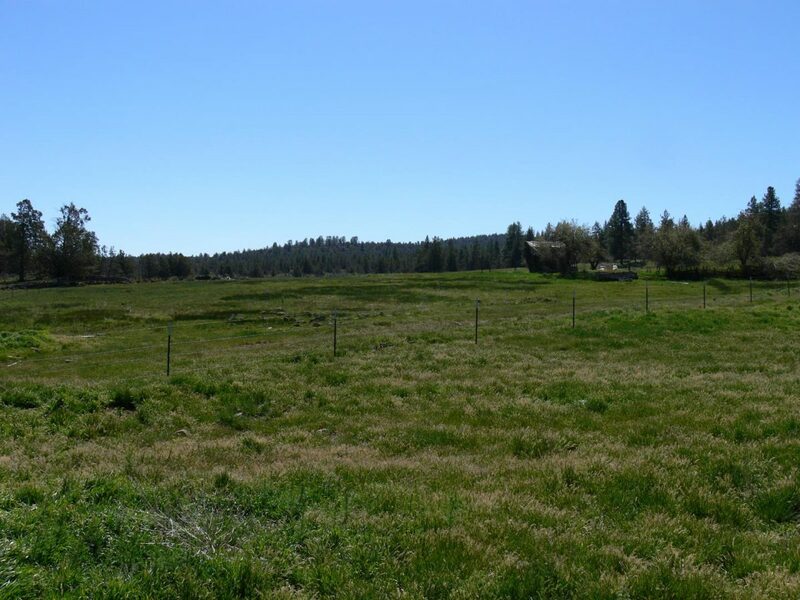 Beaver Creek Ranch is a 500-600 pair year round ranch located in the Fall River Valley just south of McArthur, CA. 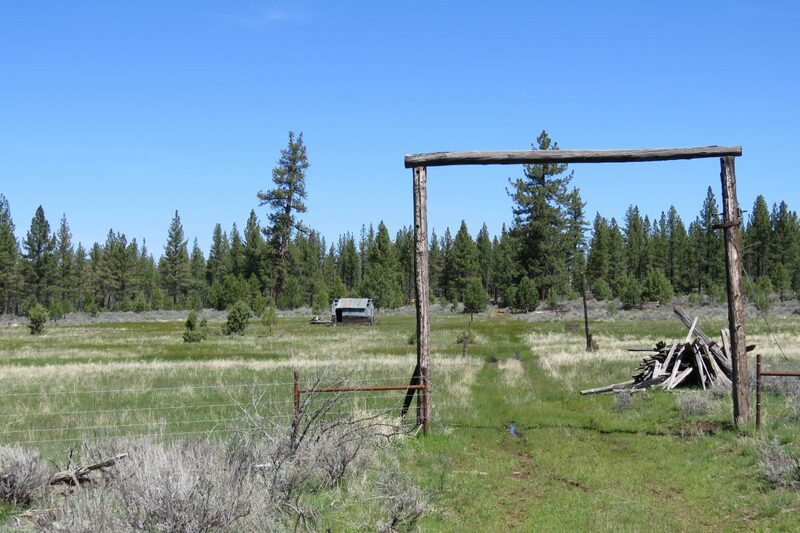 running on about 85,000 contiguous acres with 2,700 acres or so deeded and out the gate USFS & BLM permits. Mt. Shasta views. 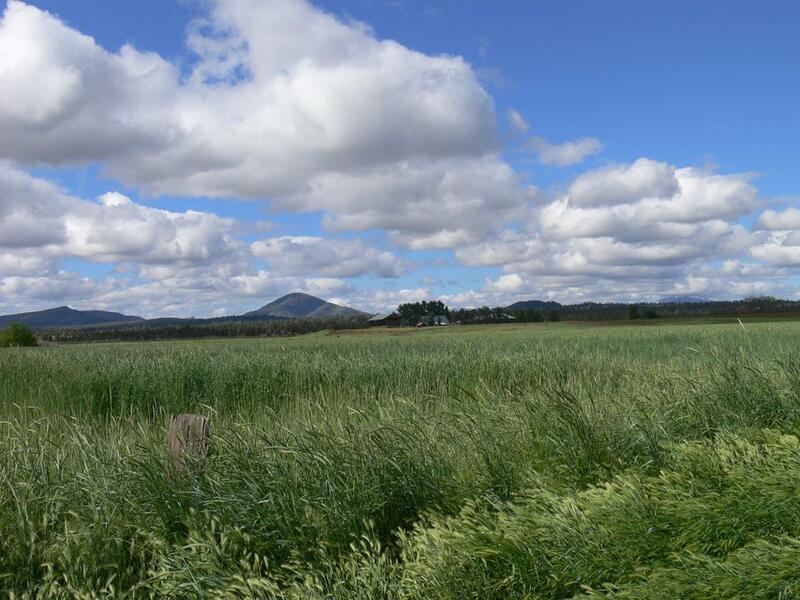 Hay, grain, irrigated pastures and meadows…. 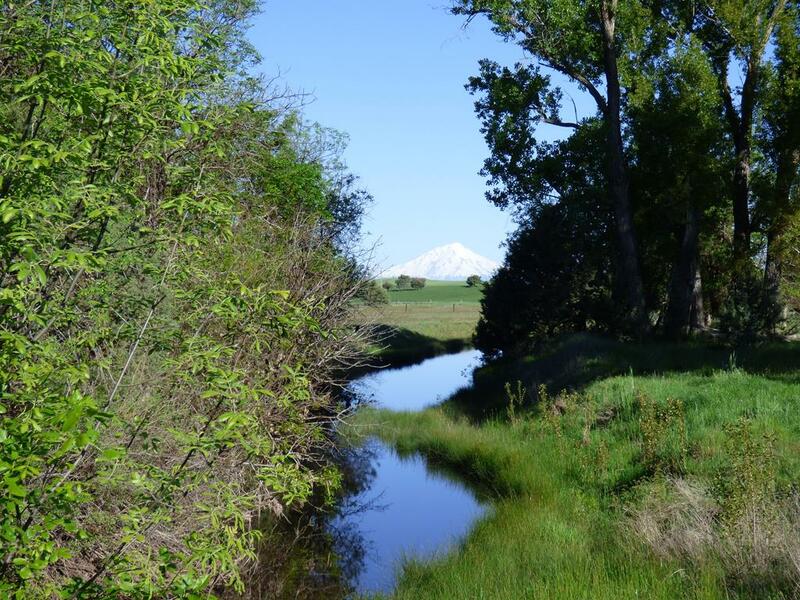 Location: The Beaver Creek Ranch is located in the Fall River Valley off of the Little Valley Rd. in Lassen County. 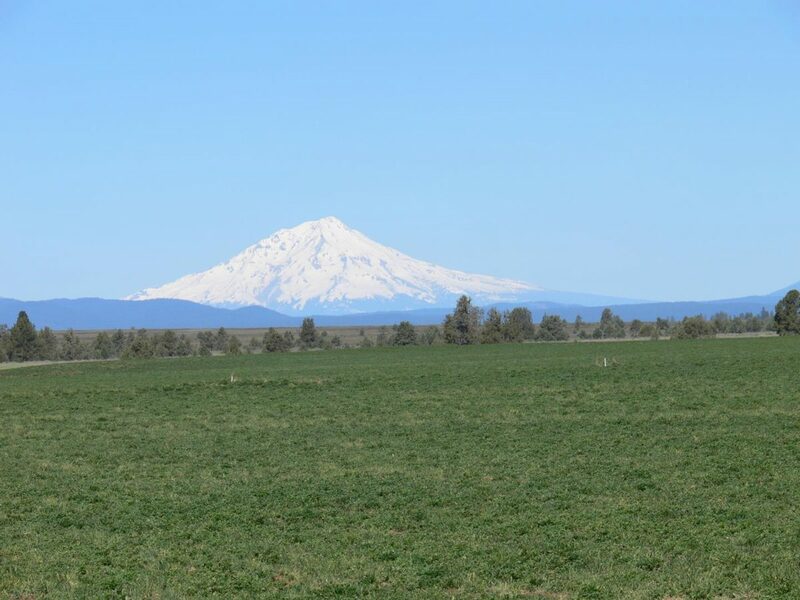 The ranch is an easy drive about 70 miles east of I-5 using Hwy 299e to the small communities of Fall River and McArthur. In addition an owner with a plane could fly direct to the Fall River Airport, which has been recently up graded to handle most planes. The Fall River Valley is noted for its wild trout fishery, the Fall River Golf Course, and several good places to dine. With an elevation of about 3,400’ the area has moderate summers and winters compared to other intermountain communities. 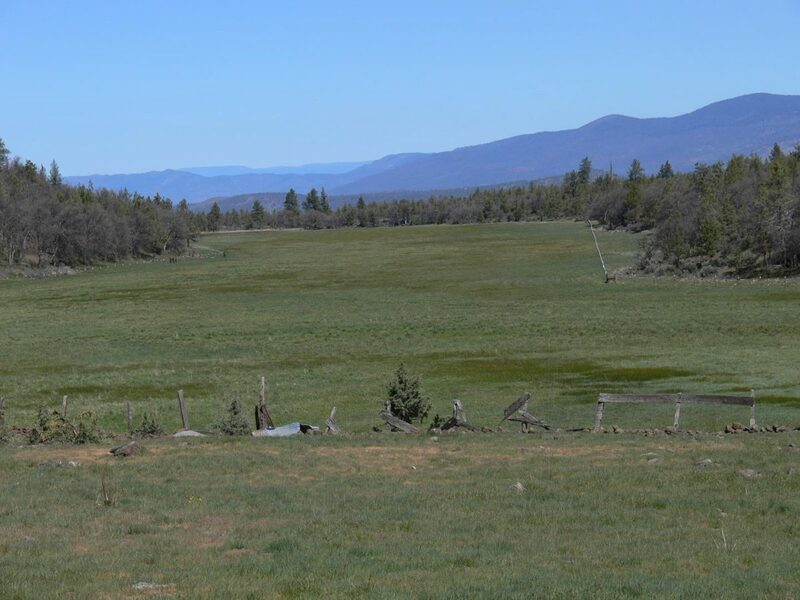 Description: This is a true cattle and hay ranch with extensive USFS, and BLM permits in addition to its deeded meadows and irrigated ground. 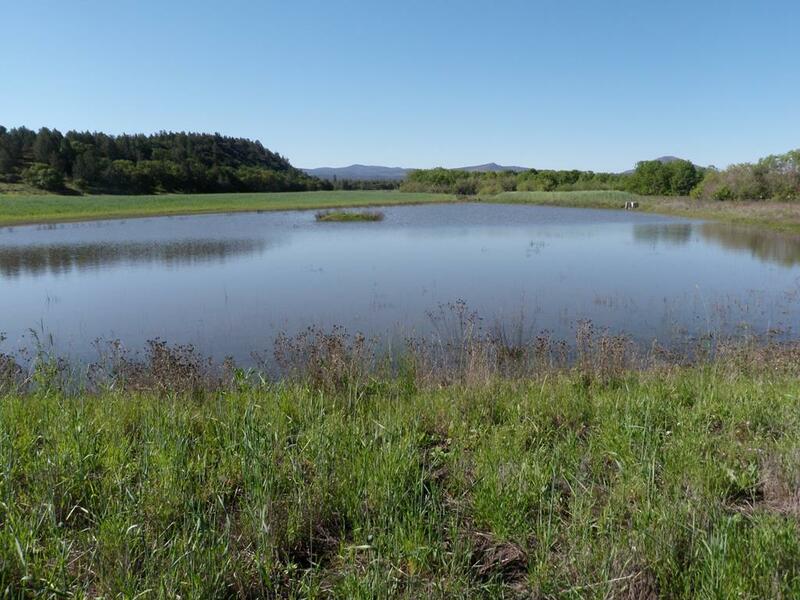 There are riparian and appropriated water rights from Beaver Creek (where the ranch gets its name) in addition to two large reservoirs on home ranch, and a large pond on Round Barn Parcel. 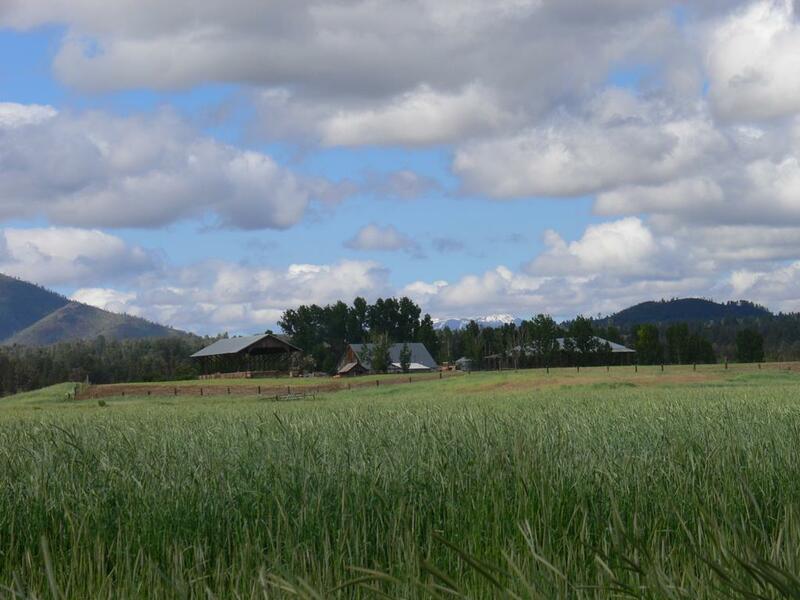 The Beaver Creek Ranch has a full complement of homes (three), barns (six), shop, feed lots, lambing shed, etc. The operation of the ranch is typical of a lot of mountain ranches in that cattle are fed on the ranch in feed lots, on hay that is raised on the ranches irrigated ground, they are then taken to the turnout ground for the summer and then back to the ranches hay ground to graze in the fall until winter sets in, then back to the feed lots. 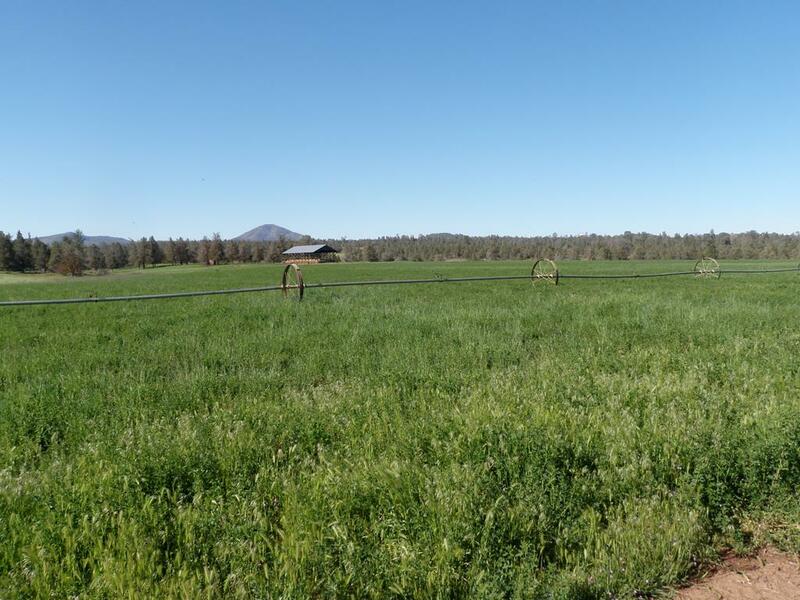 1 The Home Ranch – approximately 641 acres are irrigated within a total of 1,073 deeded acres. 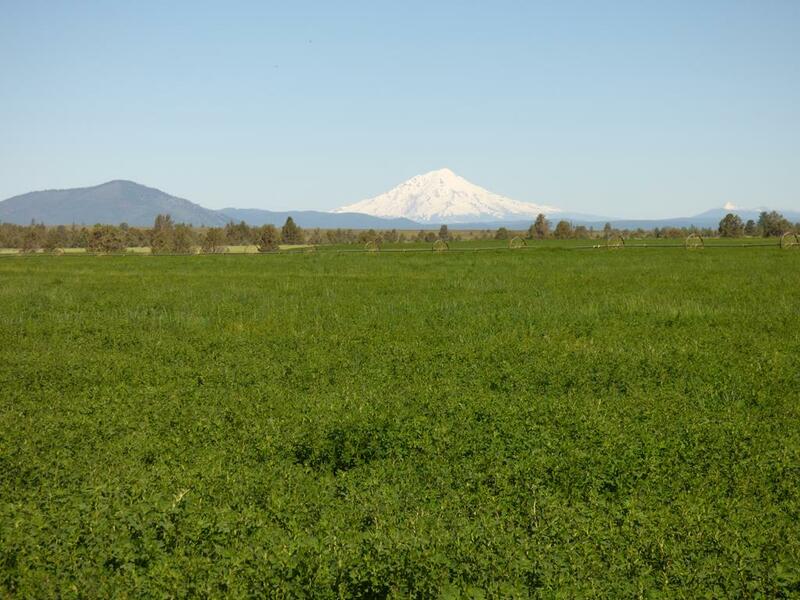 Approximately 291 acres are flood irrigated; 140 of the 291 acres south of the headquarters are wild flood irrigated. There are two large reservoirs filled by gravity flow from Beaver Creek. 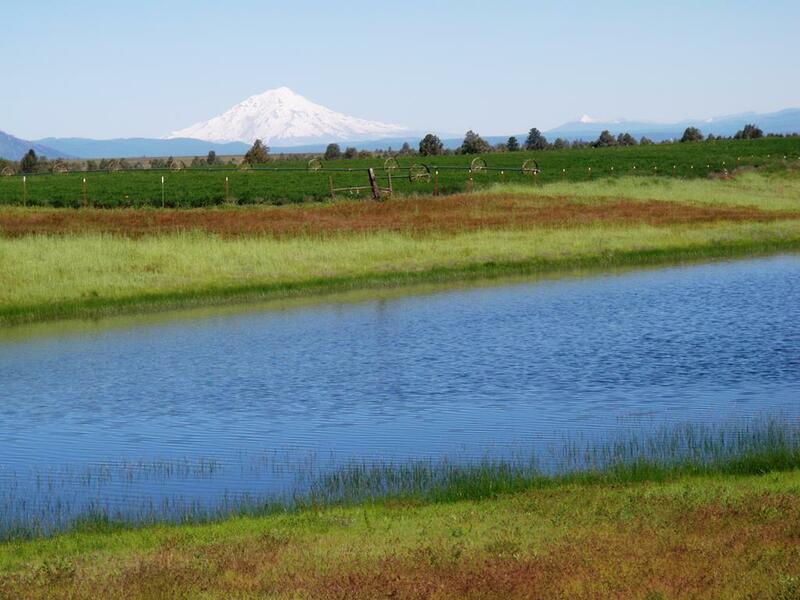 3 Round Barn Ranch about 1,027 acres has a reservoir and approximately 60 acres of sub-irrigated meadows. 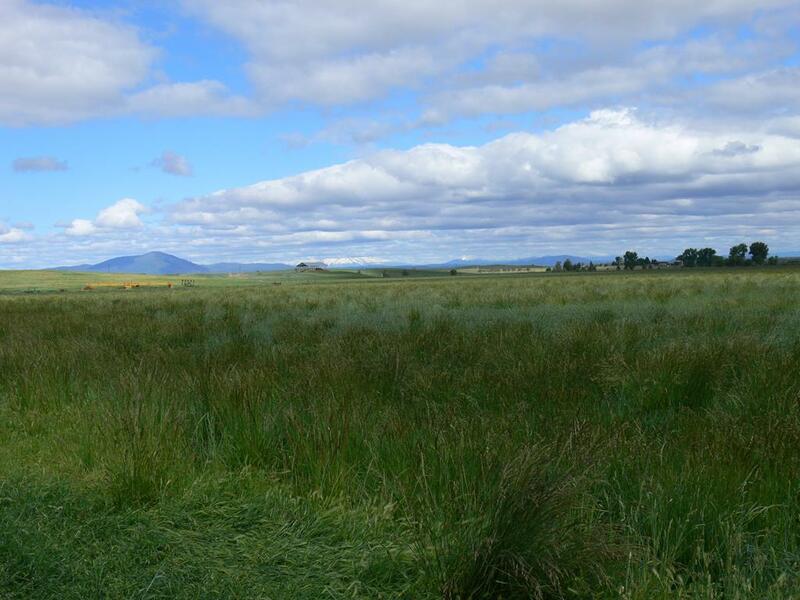 Meadows are fenced off and are used to gather cows from permit in the fall. 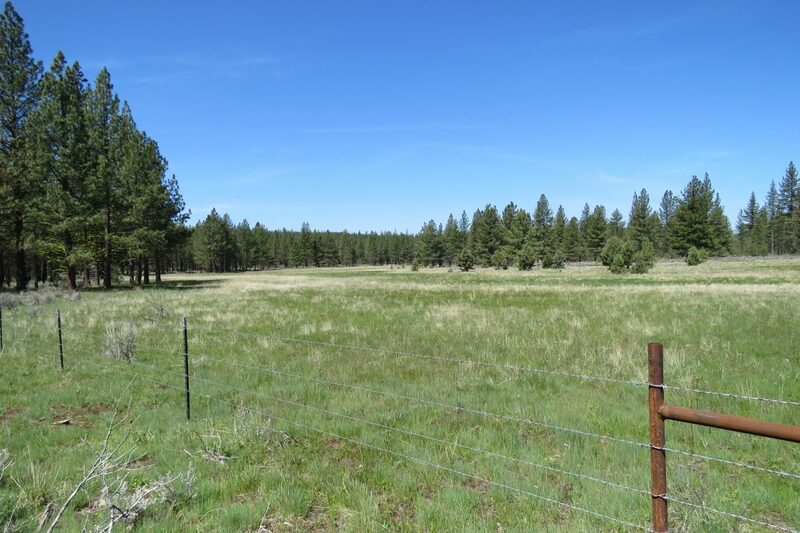 4 Beaver Creek “Dam Site” – 160 acres on Beaver Creek. 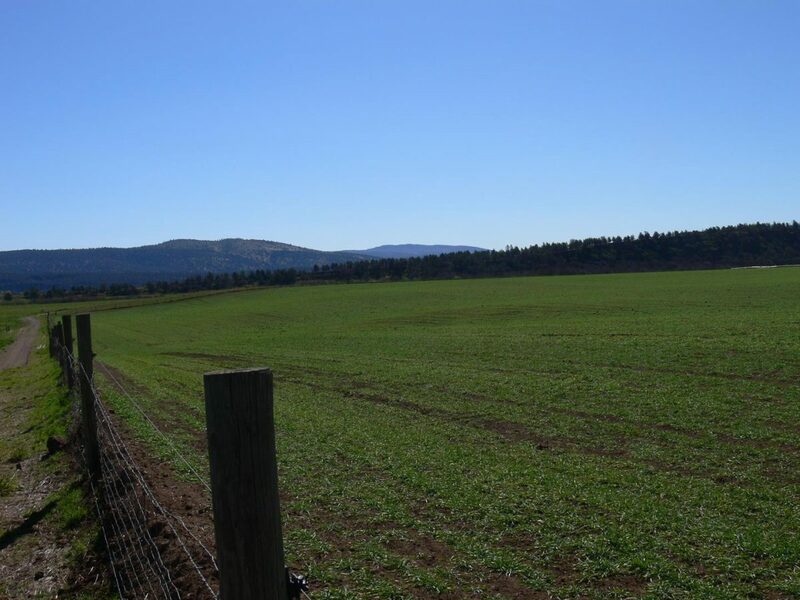 6 Eldridge Homestead 160 acres located next to Black Mountain State Game Refuge. 1. Headquarters house is approximately 2,754 SF one story. The house has 4 bedrooms and three baths with an attached meat cutting room and cold storage. Portions of the home has been added on to and the kitchen remodeled. 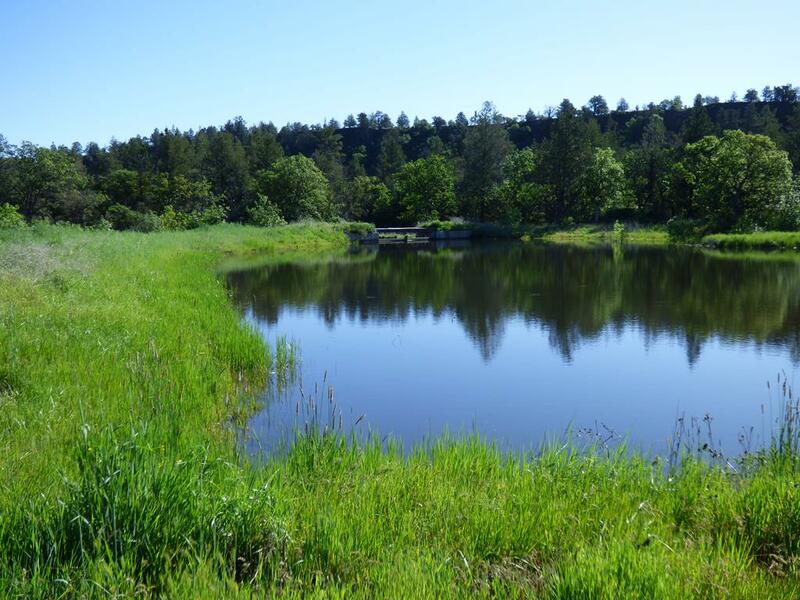 The home overlooks the Beaver Creek Pond. 2. Foreman’s House is approximately 2,046 SF with 3 bedrooms and 2 baths, and an attached garage and it also overlooks the Beaver Creek Pond. 3. Hired man’s house approximately 1,020 SF with 2 bedrooms 1 bath. There is also a singlewide trailer with 2 bedrooms and 1 bath for additional help. 5. Older hay barn in fair condition that stores about 200 tons of hay. 6. There are four pole barns in the feed lots that are set up for feeding hay to cattle that hold about 250 tons of hay each. 7. The lambing barn is about 8,064 sf with open sides, is steel framed with steel roof. 8. In addition there are numerous other improvements including corrals, scales, wool shed, shop and grain bin. 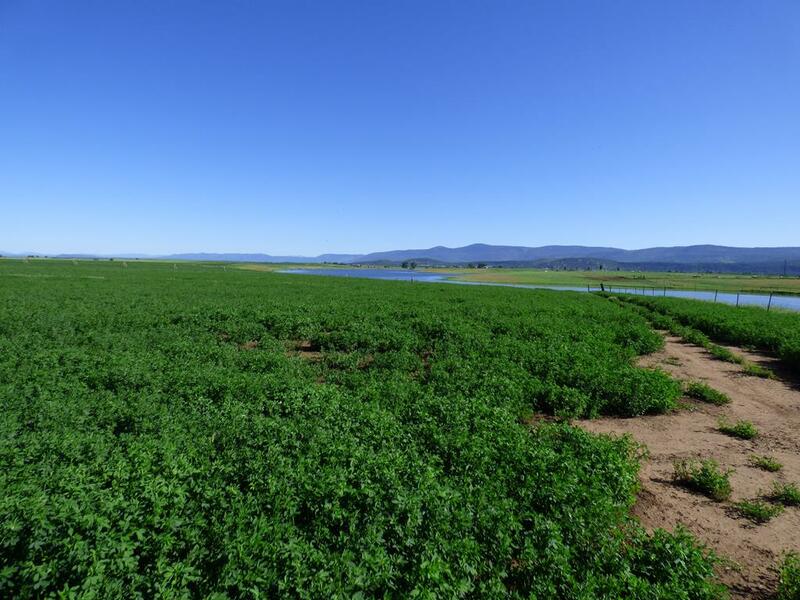 Irrigation: The ranch has riparian water rights to Beaver Creek and the ranch also has an appropriative water right to store water for 200 acre feet a year in the ranches reservoirs. 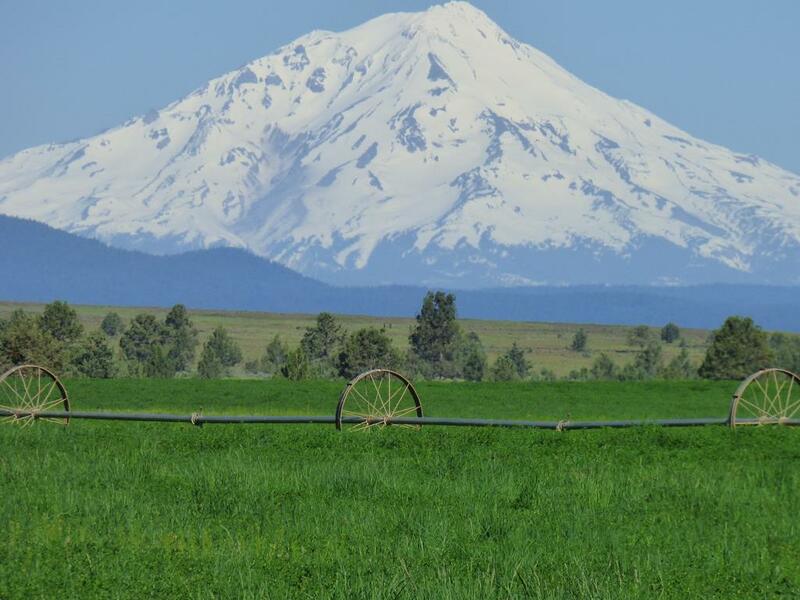 The ranch has one irrigation well reportedly yielding about 900 to 1,000 GPM. The ranch has 13 wheel lines, some hand line and flood irrigated ground. 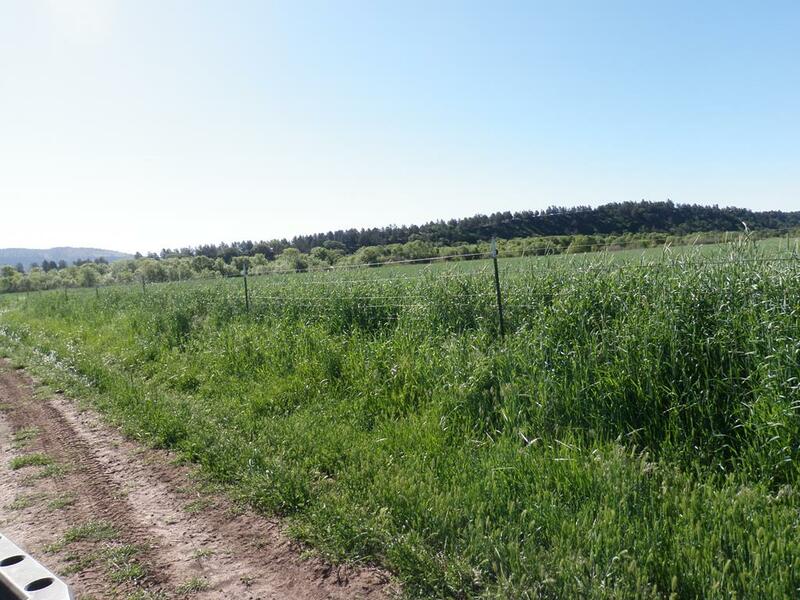 The ranch has all buried mainline to service the fields, along with a Tail Water Return System. The diversion in Beaver Creek allows the ranch to divert water by gravity flow into both of the reservoirs. 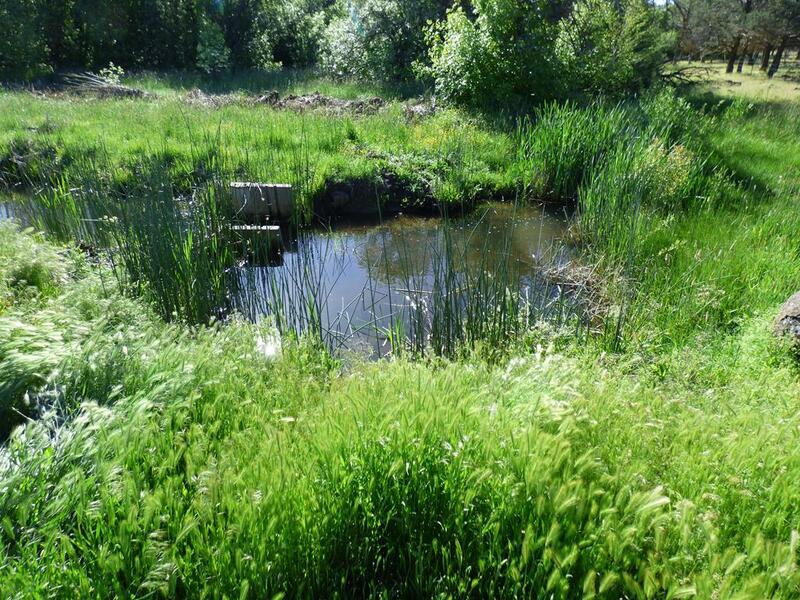 In addition there is a pipe that puts Beaver Creek water directly into the irrigation systems buried mainlines. Mainlines are 12’ and 10”; the owner has available NRCS engineering maps that show location and specifications on the mainlines. Livestock: The Beaver Creek Ranch is rated at about a 500-600 cow outfit. 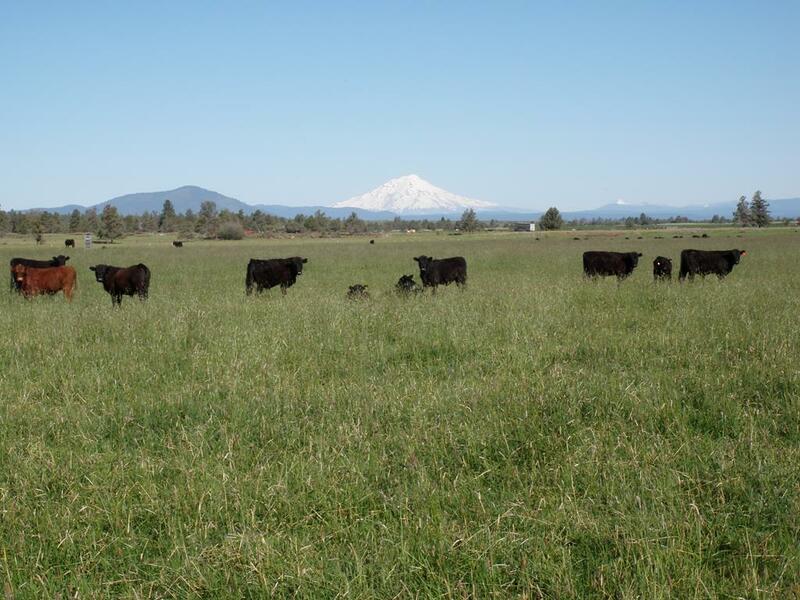 The cattle are run on a combination of USFS, BLM and deeded ground including a small Sierra Pacific timber grazing permit. The permit dates for all the ground are as follows: BLM 04/15 to 06/01, USFS 06/01 to 10/15 and again back to BLM 10/16 to 11/15. 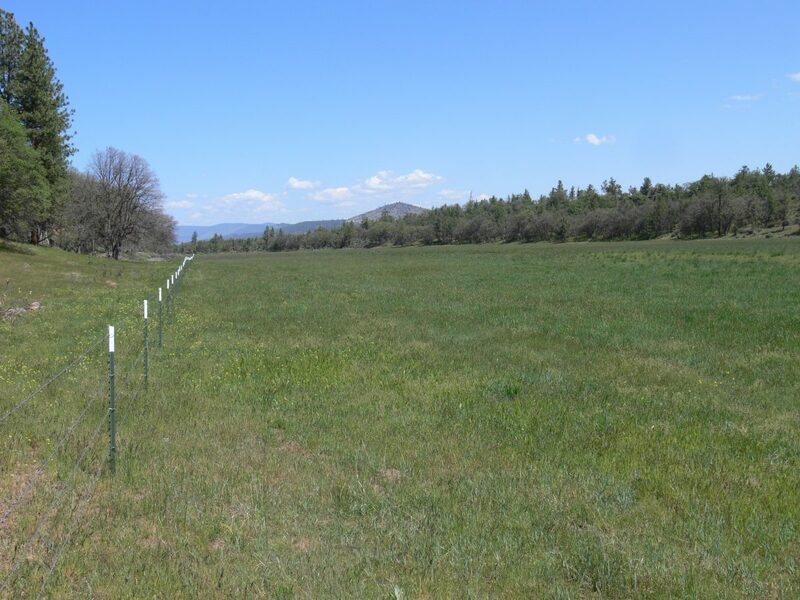 The ranch has deeded ground amongst the turn out ground to turn out onto and to gather into. 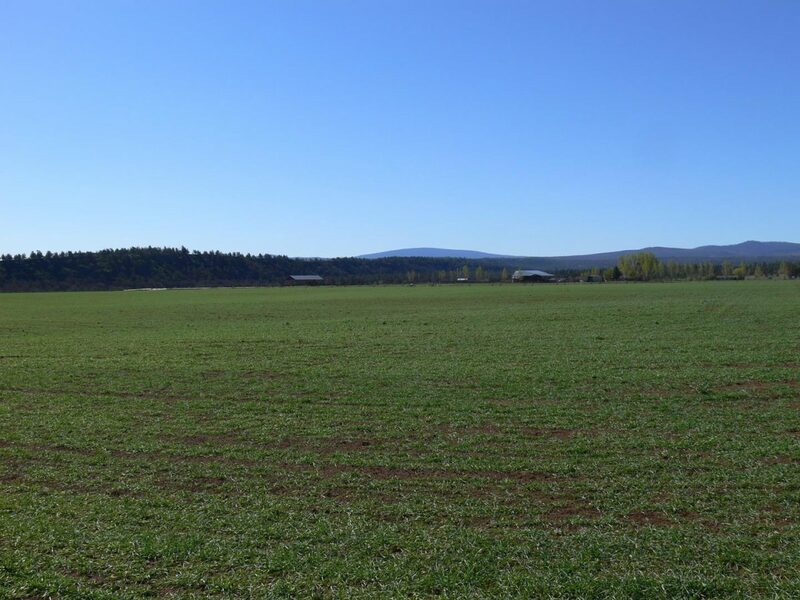 Both the deeded ground and the permits have excellent, well spread out water resources and the permits are easily accessible. Cows are turned out through a gate on the south side of home ranch onto BLM ground, they drift west to the Round Barn Field and thence on USFS ground. 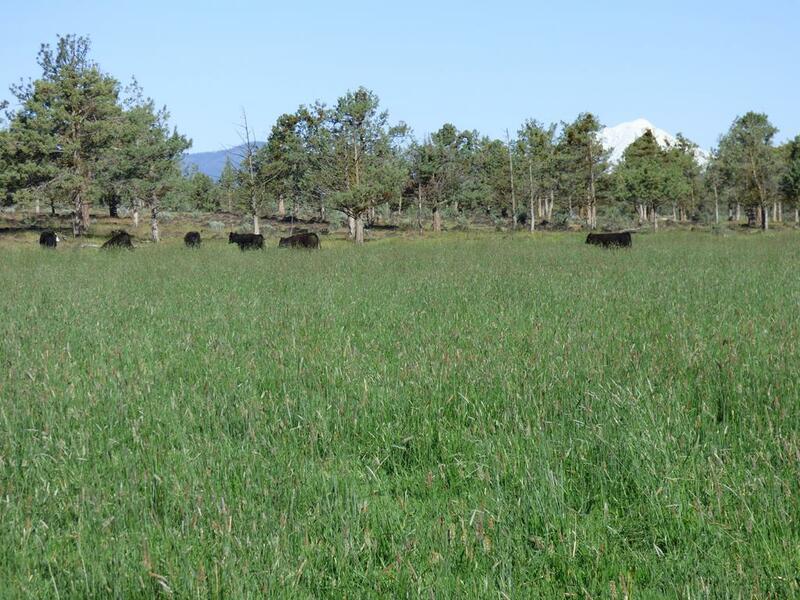 In the Fall they reverse and gather onto the Round Barn Meadows and then onto BLM ground and back to the home ranch and its meadows until moved into the feed lots for winter feeding and calving. 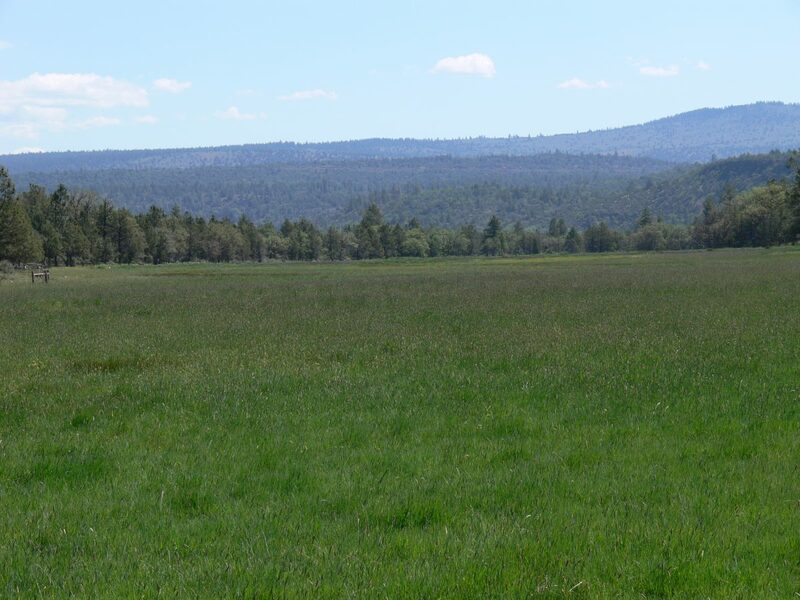 In 2014 a forest fire burned through most of the USFS permit ground and as a result of this fire the amount of cattle able to be turned had been curtailed. New fence has been constructed and in 2016 the cattle numbers have been restored and of course the feed is much improved. The ranch also runs about 200 plus sheep year round and has the facilities to handle this many and more sheep. In the past has run as many as 350. 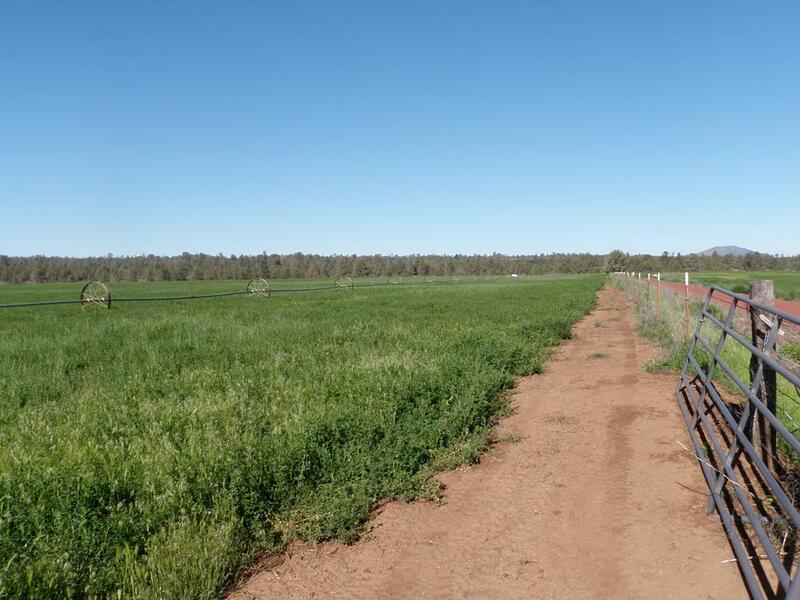 There are four feedlots that are used to feed cattle in the winter time. The feed lots have junipers for cover and drinking water for the cattle. Each feed lot has a barn for about 250 tons of hay with feed bunks. 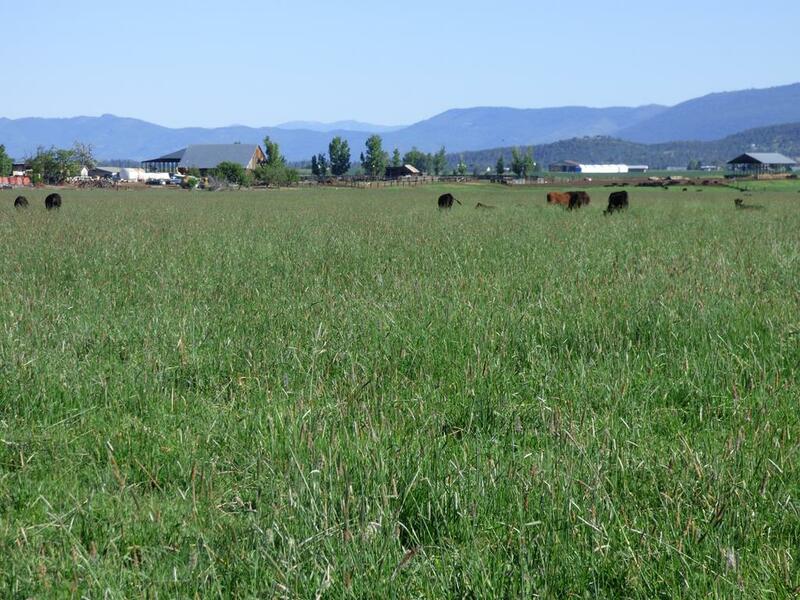 Crops: When in full production the ranch has the ability to raise enough hay to winter cattle and have some available for sale. Wildlife: Tremendous wildlife on the ranch including Mule Deer and quail. 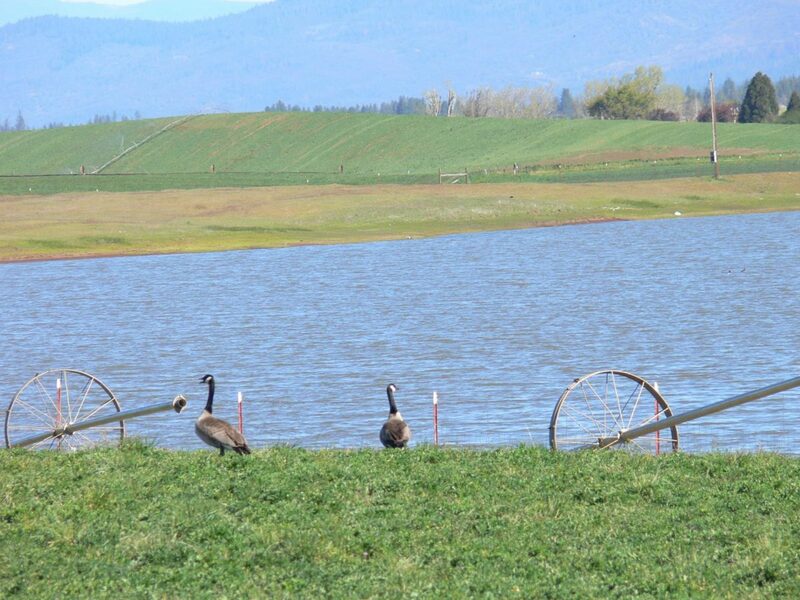 Waterfowl, both honkers and ducks, use the reservoirs and the fields. There are bass in the ponds. 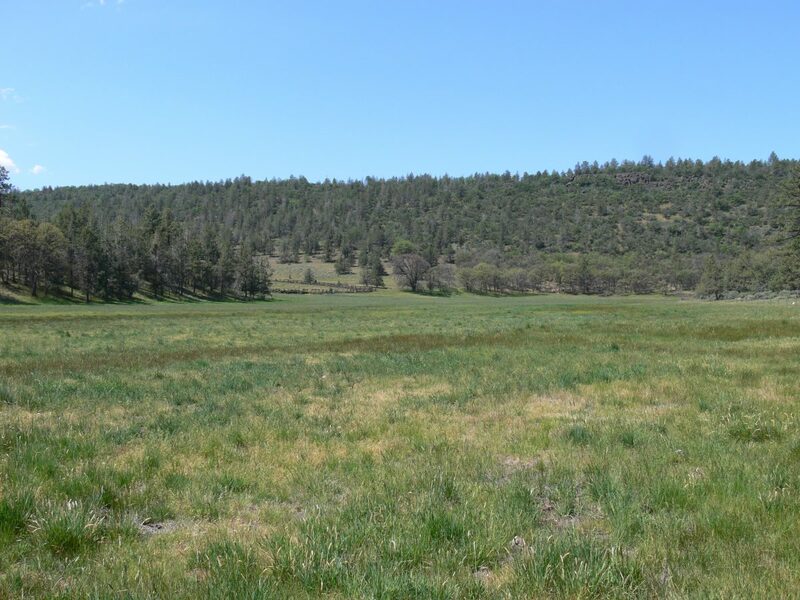 Great hunting and fishing on both the ranch as well as thousands of acres of adjoining USFS lands. Portions of the deeded lands adjoins a State Wild Life area.